The Princess in The Kitchen! I'm 6 years old and I was born in Hawaii and raised on all organic, vegan foods. 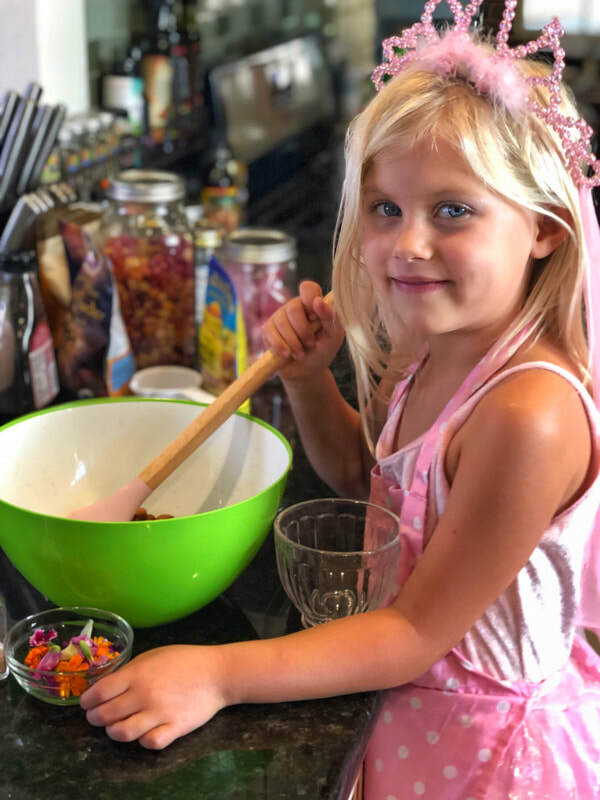 Join me as The Princess in The Kitchen where I will show you how to make foods and treats in a magical setting! You will love learning creative recipes and simple ways to live sustainably and care for the Earth! ​The Princesses of the Kingdom! Greens are her best friends! She loves, sprouts, avocados, kale and more! 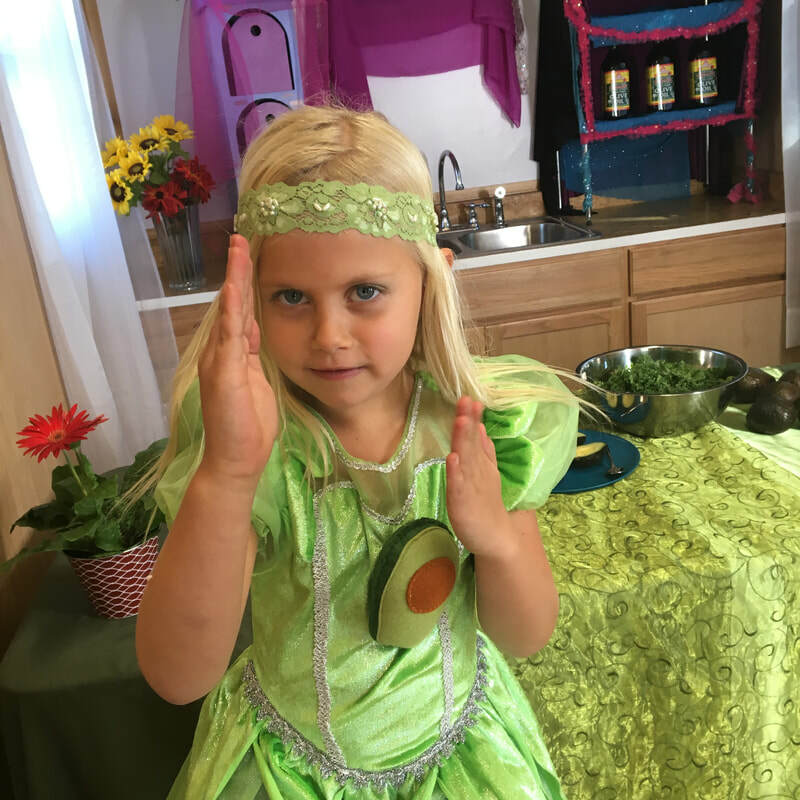 As the Avocado Princess, Seneca taught us how to make Kale-Avocado Salad with Toasted Sesame seeds. 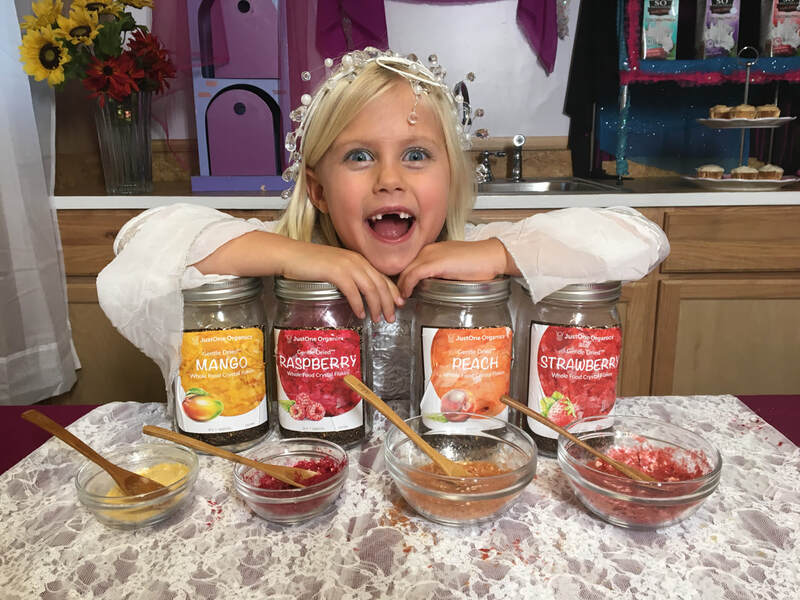 ​. .
Go To our Princess in The Kitchen Recipes page to make this at home! 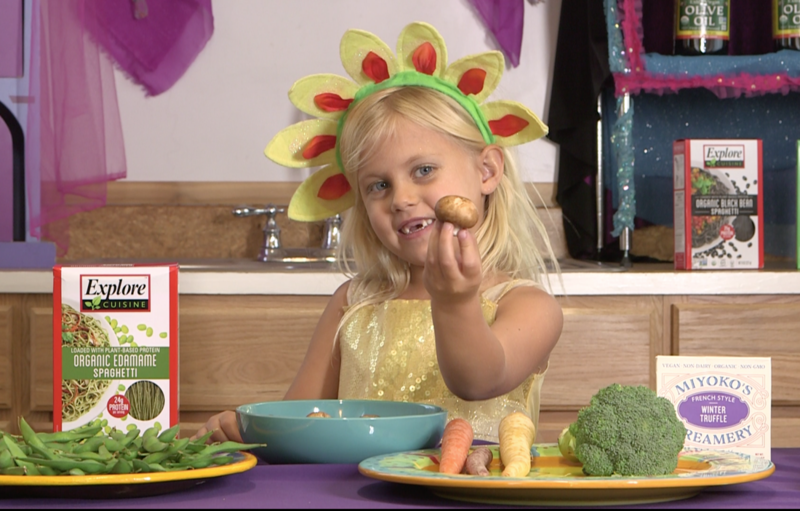 The Coconut Princess has shown us Multiple delicious Recipes! Made with Organic Edamame noodles and Organic Cultured Cashew Cheese! Plus, Fresh Organic Carrots, Broccoli and Mushrooms!